The original project was intended to construct one hand washing station, but with an added donation from Peerwater and some funds from APS a second hand washing station was constructed at a location in the lower part of the school. 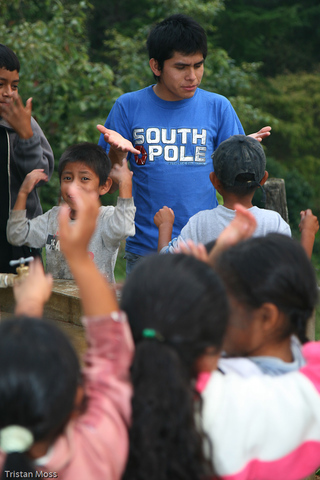 Elude Perez is a public health teacher that works for Health International (a US funded not for profit organization). Elude visits the school in Janlay village about once a month. Today, he is teaching a class of first grade students the importance of washing hands with soap. Together, the students scrub their hands with soap for 20 seconds before rinsing at the school “lavamano” (hand-washing station). 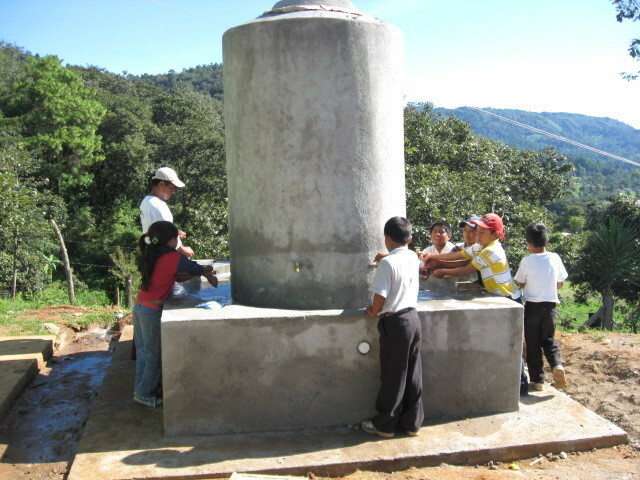 Agua para la Salud (an internationally funded not-for-profit organization) recently installed two lavamanos at the school. Before the lavamanos were installed, the students had only four sinks for over 150 students. Group sanitation lessons on hand washing were not possible because there were not enough faucets. Now, the students wash their hands as a group several times each day: before school starts, before snack, and after snack. The lavamanos have given the Janlay teachers the facilities they need to teach healthy hygiene habits. Project complete, see final reports attached. The government is donating for the first time Q50 ($6.00) for each child attending school for the running of the school. The parents also contribute to the care of the school through the parents committee. Between the teachers and the committee the needs of the school are met. Extra labor was negotiated with the village to build the second lavamano. The community consists of 80 households with a total of approximately 500 inhabitants. The project will be executed on the premises of the local school. In which 8 teachers educate 217 children. 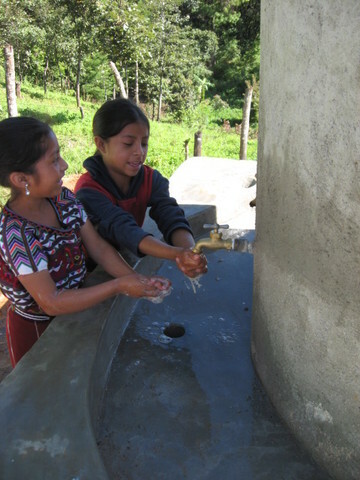 Providing a closed tank for water supply provides the children with safe water. The main focus of the project was supplying hand washing facilities which impacts the sanitation of the school in a positive manner.